Now, more than ever, getting high doesn’t have to involve a trip to a back alley to meet with a sketchy drug dealer. It can be as simple as opening up the medicine cabinet and popping two or three narcotics that the doctor prescribed. A deadly epidemic of prescription painkiller abuse is growing and, according to a Centers for Disease Control and Prevention report , nearly three out of four prescription drug overdoses are caused by prescription painkillers, more formally known as opioid or narcotic pain relievers. Painkillers are some of the most commonly prescribed medications by medical doctors. The three most commonly prescribed pain medications are hydrocodone, oxycodone, and codeine. In fact, the narcotic pain medication hydrocodone/acetaminophen was the most prescribed generic medication in 2014, according to a Medscape Medical News article  written by Troy Brown, RN. In 2014, doctors wrote out approximately 123.3 million prescriptions of hydrocodone/acetaminophen (commonly known by brand names Vicodin, Norco, and Lortab), the article states. 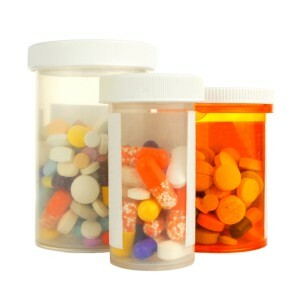 Medications containing oxycodone (OxyContin) and codeine are not far behind hydrocodone. Acetaminophen is the active ingredient in Tylenol and, although it is used as a fever reducer and a pain reliever, it is not a narcotic. However, it is used commonly in combination with narcotics such as in oxycodone/acetaminophen, commonly known as Percocet, and codeine/acetaminophen, commonly known as Tylenol with codeine #3 or Tylenol with Codeine #4, depending on the strength of the codeine. Tylenol with codeine is often used in prescription cough syrups to help with cough suppression. These three common pain medications are overprescribed and overused and cause many people to become addicted to narcotics, which is not only bad for individuals’ health but also detrimental to society. Drug trafficking, violent crime, stealing and expenses to stop the epidemic all take their toll on our culture at large. Narcotic medications are used for acute or chronic pain but, when taken in large or frequent amounts, can lead to side effects, such as constipation, euphoria, dry mouth, confusion, excessive drowsiness and respiratory depression. The body manufactures its own opioids, known as endorphins, that bind to specific opioid mu receptors in the brain, spinal cord, and gastrointestinal tract. When bound to their receptors, opioids cause serotonin and dopamine release, which creates a sense of euphoria and pain relief. Dependence occurs when the body becomes so physically addicted to these medications that withdrawal symptoms, such as vomiting, nausea, sweating, and diarrhea, occur in the absence of these narcotics. So how can patients, physicians and society combat dependence when these narcotics are so commonly used? Pain is a very complicated mechanism in the central nervous system and can be debilitating if not treated correctly. Although narcotic pain medications can be used to treat acute pain, such as after a surgery, using them to treat chronic pain can become dangerous. Fortunately, narcotic pain medications are not the only option. Alternative non-narcotic pain medications that can be used for acute and chronic pain include nerve blocks, analgesics like acetaminophen and nonsteroidal anti-inflammatory drugs (NSAIDS) like ibuprofen. In fact, ibuprofen and acetaminophen should be used to treat pain before narcotics are prescribed. These alternative therapies should especially be used to treat chronic pain. Depression is the most common emotion associated with chronic pain, so antidepressants can be used to treat both chronic pain and depression simultaneously. 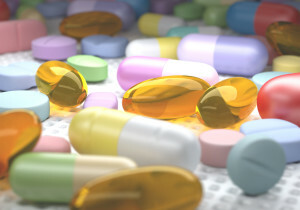 Antidepressants include selective serotonin re-uptake inhibitors (SSRIs), such as fluoxetine, and tricyclic antidepressants, such as amitriptyline. Gabapentin (commonly known by the brand name Neurontin) is in a drug class by itself and used to treat neuropathic pain, such as in diabetes neuralgia, phantom limb syndrome or fibromyalgia. Physical therapy is another option to help alleviate pain without using narcotics. 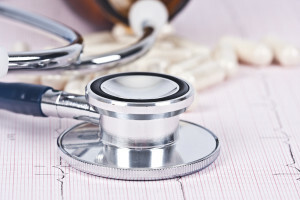 Both patients and physicians need to be aware of the damaging effects narcotic pain medications can have and doctors need to try other mechanisms before using them. Unfortunately, “quitting cold turkey” has a poor success rate; fewer than 25 percent of patients are able to remain abstinent for a full year. To reduce withdrawal side effects and curb cravings that can lead to relapse, medications like methadone, naltrexone, and Suboxone can be used to treat opioid dependence. According to the National Alliance of Advocates for Buprenorphine Treatment , treating opioid addiction with medication has been ongoing for more than 30 years. Initially, methadone was the treatment of choice for opioid addiction, but in 2002 the FDA approved the use of the combination of buprenorphine and naloxone  (Suboxone) to treat opioid dependence. According to the 2013 National Pain Report on Suboxone , more than 3 million Americans with opioid dependence have been treated with this drug, which is now the 41st most prescribed drug in the U.S. This is a rise in ranking from five years ago when it was only the 196th most prescribed drug. Its prevalence is creating another dependency predicament among prescribing physicians because now Suboxone is being sold on the street to those seeking to get high from the buprenorphine, an opioid itself. The cycle of addiction is vicious. The treatment for narcotic dependence is now coming full circle as the treatment itself is abused. So before taking a trip to the doctor to refill that bathroom medicine cabinet, keep in mind that popping a few pills to get high can result in a potential lifetime of dependence and addiction. Seek narcotic alternatives first to treat pain. If you need narcotic pain relief for a temporary condition, work with your doctor and be cautious with these highly addictive drugs. Have you or your loved one suffered from an addiction to pain relievers? What alternative therapies and treatments have you found to find pain relief while in recovery? Rachael Mattice is the Content Manager for Sovereign Health Group, an addiction, mental health and dual diagnosis treatment provider. Rachael is a creative and versatile journalist and digital marketing specialist with an extensive writing and editing background. She received her bachelor’s degree in journalism and mass communication from Purdue University. The opinions and views of our guest contributors are shared to provide a broad perspective of addiction. These are not necessarily the views of Addiction Hope, but an effort to offer a discussion of various issues by different concerned individuals.